2. Q: Can we get samples9 A: Yes, but free samples are not available at beginning. 4. Q: What's your warranty for products9 A: Generally speaking, it's one year's warranty, for quality problems, we accept sending back. 6. 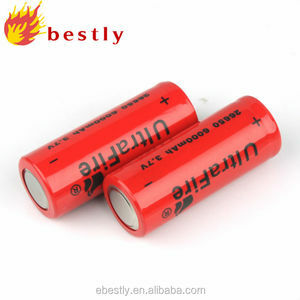 Q: How do you control your product quality9 A: All batteries have 10 steps testing during the whole production. 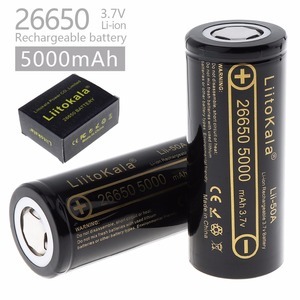 AWT 26650 li-ion battery 3800mAh 60A for firebird e phoenix dotmod rda 1:1 clone crit box mod 18650 v2 tu. 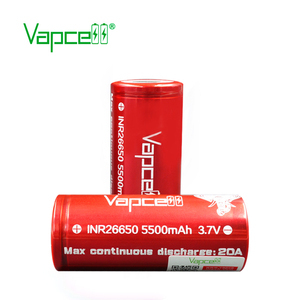 AWT 26650 li-ion battery 3800mAh 60A for firebird e phoenix dotmod rda 1:1 clone crit box mod 18650 v2 tu. 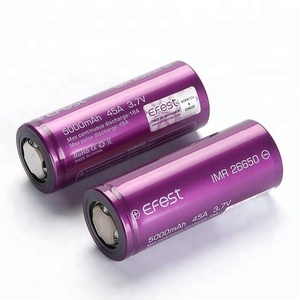 AWT 26650 li-ion battery 3800mAh 60A for firebird e phoenix dotmod rda 1:1 clone crit box mod 18650 v2 tu. 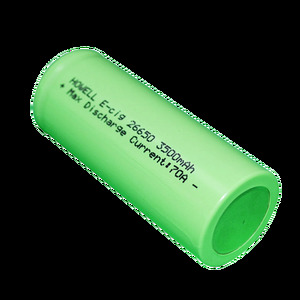 Data sheet: 1.Standard capacity: 3400mAh 0.5C (current value of 3400mA at 1C) 2.Standard voltage: 3.2V 3.Charge cut-off voltage: 3.6&plusmn;0.05V Constant current charge to 3.6V at 0.5C Constant voltage charge to stop until 0.01CmA 4.Charge cut-off current: 0.01C 5.Discharge cut-off voltage: 2.5V 6.Cycle characteristic: 2,000 times 100% DOD, the residual capacity is no less than 80% of rated capacity at 1C rate 7. Max continuous discharge current: 10.2A 8. Pulse discharge current: 18A 5s 9. Working temperature Charge: 0&deg;C-55&deg;C Discharge: -20&deg;C-60&deg;C 10. Storage temperature: -20&deg;C - 45&deg;C 11. Battery weight: 87g (approx) 12. 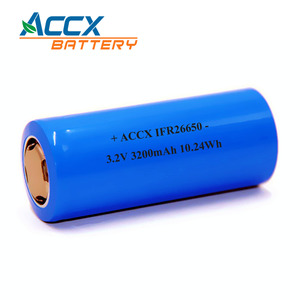 Alternating internal resistance: &le;30m&Omega; ~Features: Rechargeable Lithium-ion battery cell 26650 with 3.2V 3400mAh Perfect performance for both energy storage & power battery Application: portable power, LED, solar light, UPS, E-vehicles Packaging & Shipping Payment terms : 1. By T/T , 30% T/T in advance,70% before shipment 2. By L/C at sight 3. Western Union, Money gram or cash Trade terms: ex works or Fob Shenzhen Package details: 1. Standard export carton ,then onto pallets, or neutral package 2. If any special requirements on package , it is negotiable 3. All batteries are inspected carefully by QC before shipment. 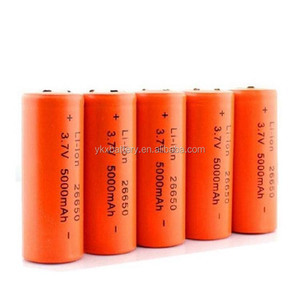 Delivery time : 1. our lead time is 15 days on the basis of order after get 30% deposit 2. if you need samples or small quantity , we can ship battery within 3-7days if we have stock after test is finished. 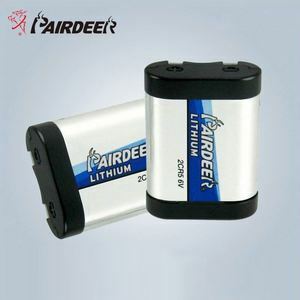 Alibaba.com offers 13,305 26650 li-ion batteries products. About 60% of these are rechargeable batteries, 9% are battery packs, and 1% are digital battery. 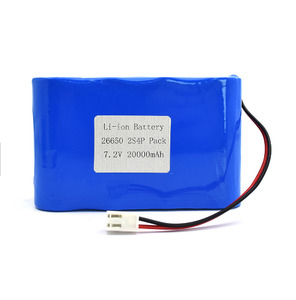 A wide variety of 26650 li-ion batteries options are available to you, such as li-ion, li-polymer. You can also choose from 3v, 6v, and 12v. As well as from free samples, paid samples. 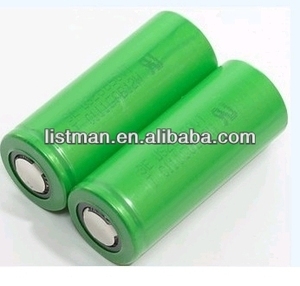 There are 13,313 26650 li-ion batteries suppliers, mainly located in Asia. The top supplying countries are China (Mainland), Malaysia, and Hong Kong, which supply 99%, 1%, and 1% of 26650 li-ion batteries respectively. 6650 li-ion batteries products are most popular in North America, Western Europe, and Domestic Market. You can ensure product safety by selecting from certified suppliers, including 3,272 with ISO9001, 728 with Other, and 286 with ISO14001 certification.